Item # 308420 Stash Points: 6,995 (?) This is the number of points you get in The Zumiez Stash for purchasing this item. Stash points are redeemable for exclusive rewards only available to Zumiez Stash members. To redeem your points check out the rewards catalog on thestash.zumiez.com. 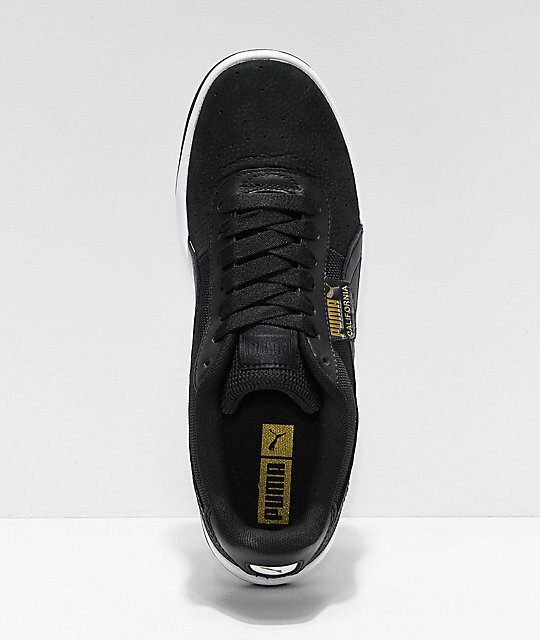 The California shoes from PUMA are an O.G. style that was born and bread on the tennis courts in 1983. The shoe found its way to the streets, and have since become one of the most iconic sneakers in history. This fresh take on the California features a thick, white and black rubber outsole, and a flexible black upper, creating an overall sleek design. 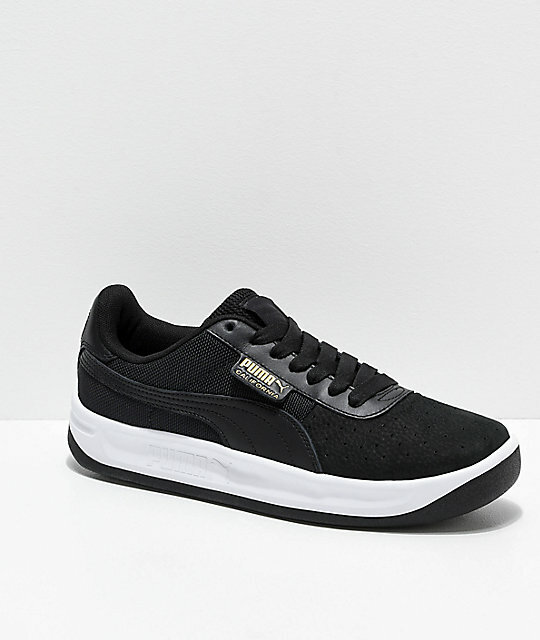 PUMA's signature logo tab is added to the medial side of each shoe, while the leather upper with perforated details offer a breathable feel that will complete your look, whether you are hitting the courts or the streets. 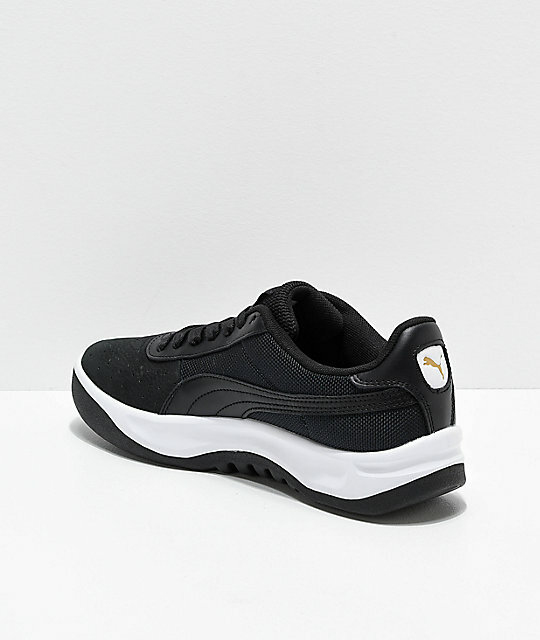 California Black & White Shoes from PUMA. Black leather upper with perforated details. 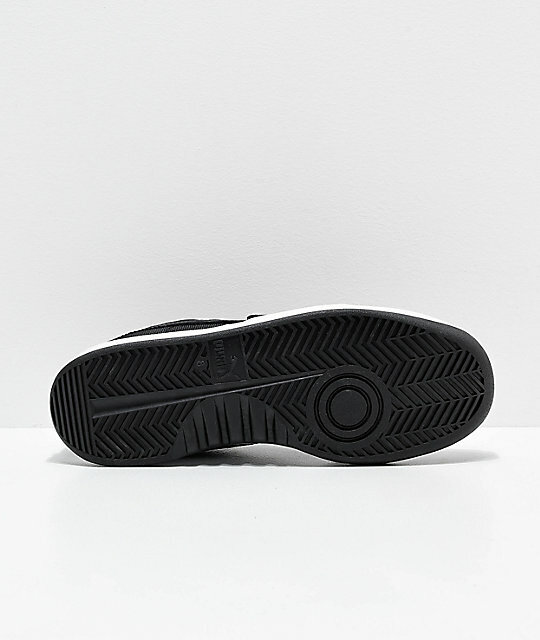 White and black outsole with tread pattern for grip.